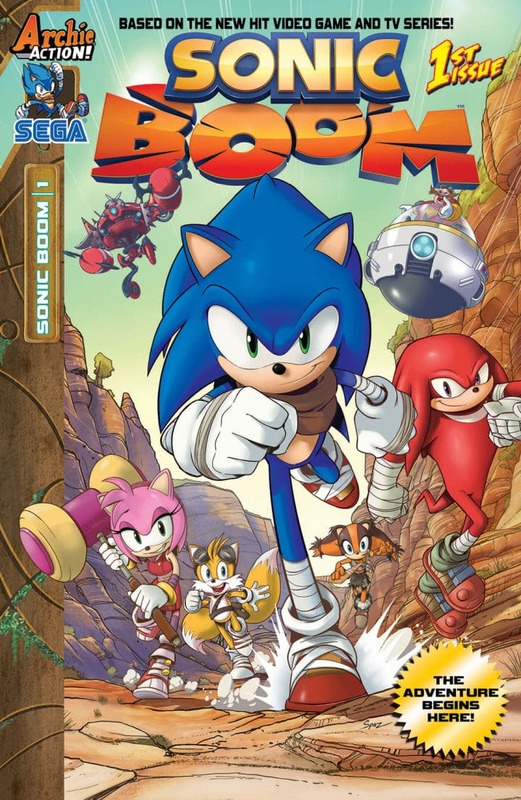 Respective Wii U and 3DS titles, and an animated TV show aren’t enough for SEGA’s plans for Sonic Boom this year, with the announcement that Archic Comics will produce a new comic book series. This will be written by Ian Flynn with art penned by Evan Stanley, and will serve as an extension to the other adventures that Sonic the Hedgehog and pals are preparing themselves for this year. The first issue will have four differing covers that feature Sonic, Knuckles, Amy, Tails, new character Sticks, and regular antagonist Dr. Eggman, with the artwork of each cover linking together when placed side-to-side. More information is promised at San Diego Comic-Con 2014, although it is confirmed that the comic series will launch this October.